Focused on People. Committed to Results. 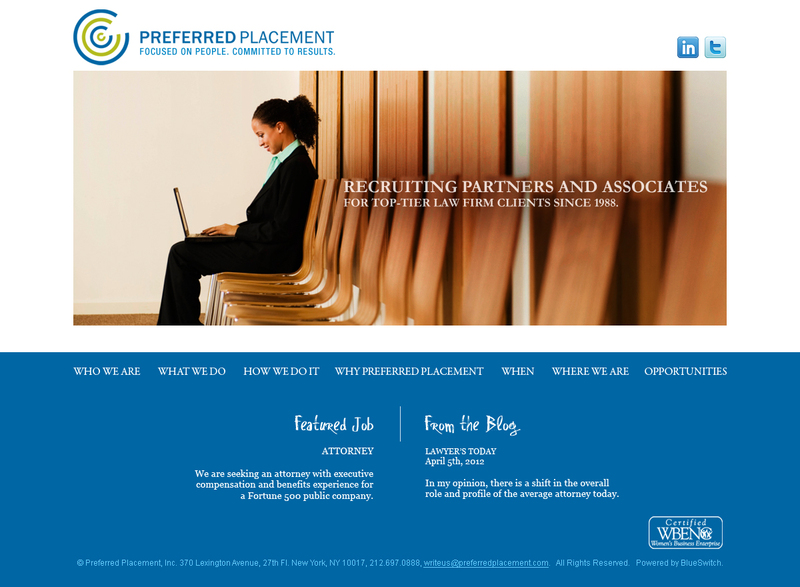 1988; the year Anne Angowitz founded Preferred Placement. We are proud to be celebrating our 25th anniversary and honored to have served the legal community for all these years. Things sure have changed since 1988. For instance, take a look at your cell phone. Then look at the massive “cellphone” that Michael Douglas carried on the beach in the movie “Wall Street”. Microsoft Office 1.0 for PC was still two years away. Email would not become globally functional for approximately another five years. Mark Zuckerberg was about to celebrate his 4th birthday (probably wearing his first “official” hoodie). Along with our milestone anniversary comes a new website (www.preferredplacement.com), our use of Twitter (@prefplacement) and this blog. Please take a moment to surf around our new site. We hope you like it and find it easy to use. Please let us know your thoughts. Over the past twenty-five years, our business has continued to evolve. One of the goals of the redesign was to reflect these changes and additions. We have always been known as one of the premier recruiting firms placing attorneys to legal positions at the most sought after companies and firms. Our candidates now comprise lawyers, senior executives and compliance professionals and we place them into all types of roles. Our clients, a who’s who of premier firms and companies in all areas of business, rely on us to place General Counsels, Deputy General Counsels, Chief Compliance Officers, Chief Privacy Officers, Chief Operating Officers, and practice group leaders at law firms, as well as more junior superstars. Part of our new look is this blog. Through it, we plan to keep you informed of the latest trends and developments in the world of executive, legal and compliance recruiting. Through the site, and Twitter, we plan to keep you up to date on what is going on at Preferred Placement and some assignments we are working on. We are very excited for 2013, and we look forward to blogging, tweeting and staying in touch with you. We wish you a healthy and prosperous New Year, and we look forward to helping each client find their needle in a haystack hire as well as working with each candidate to find their perfect new role. And for anyone who has been considering a career in search, we are growing and would love to speak with you!